FIAT = “Fix It Again, Tony”. For decades this acronym has been an American joke on the famous Italian car maker, playing on the low quality of Fiat cars. The moment of “revenge” has now arrived for the small company in Turin. 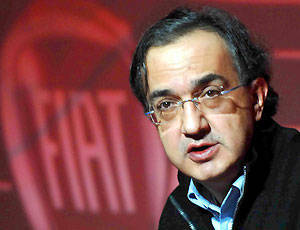 Fiat’s CEO, Sergio Marchionne, has been asked to save Chrysler, a giant in the American car industry. This is not the first time that someone with an Italian last name has saved Chrysler. The same thing happened almost 20 years ago with Lee Iacocca who, thanks to his intuitive knack for launching successful new car models, was able to turn the company around in the 1980s. Sergio Marchionne has a new challenge. He is a man who has already shown his ambition and proved his abilities in 2004 when he agreed to resuscitate Fiat from near-death. Born in 1952. .He returned to Europe as the CEO of a Swiss chemical firm and a product-testing company partly owned by Fiat’s Agnelli family. He became a member of Fiat’s board in 2003 and, while the family struggled to manage the company that legendary Senator Giovanni Agnelli founded in 1899, Marchionne became its CEO. The Agnelli family was in upheaval; its long-time patriarch, Gianni Agnelli had just passed away, soon followed by Agnelli’s brother, Umberto, leaving no direct family successor with the Agnelli surname. Soon after, young John Elkann, the son of Margherita Agnelli (Gianni’s daughter), became Fiat’s vice chairman. Rumors surrounding Sergio Marchionne not only concern his professionalism. Photos of him wearing blue sweaters instead of traditional business suits regularly fill the pages of Italian and international magazines, along with stories about his love for cars. In 2007 he made headlines when he crashed his Ferrari 599 GTB Fiorano on a highway in Switzerland.